No matter how much security technology we purchase, we still face a fundamental security problem: people. People can be manipulated every day and in many ways; from the tactics used by car dealers, to sophisticated social engineering and online scams. 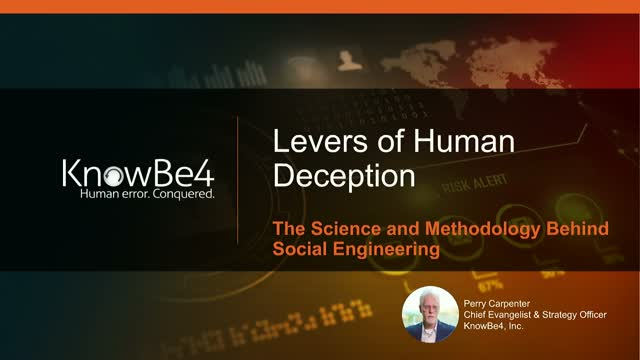 Part 1 of KnowBe4’s 3 part series will This webinar will explore the different levers that social engineers and scam artists pull to make us more likely to do their bidding and how to ethically use these same levers when educating users.